Microsoft has today introduces two new members of its Lumia line-up, the Lumia 435 and 532. The lesser-specced of the two handsets – the Lumia 435 – offers a 1.2GHz processor, 1GB RAM and 8GB of internal storage. The Lumia 532 offers largely the same spec list, albeit with a quad-core, rather than dual-core, processor. Both max out at 3G connections too, and will arrive in single and dual-SIM variants. Both devices are due to start rolling out to “select countries in Europe, Asia-Pacific, India, the Middle East and Africa” in February. Pricing for the Lumia 435 will be around €69, while the Lumia 532 will be around €79. 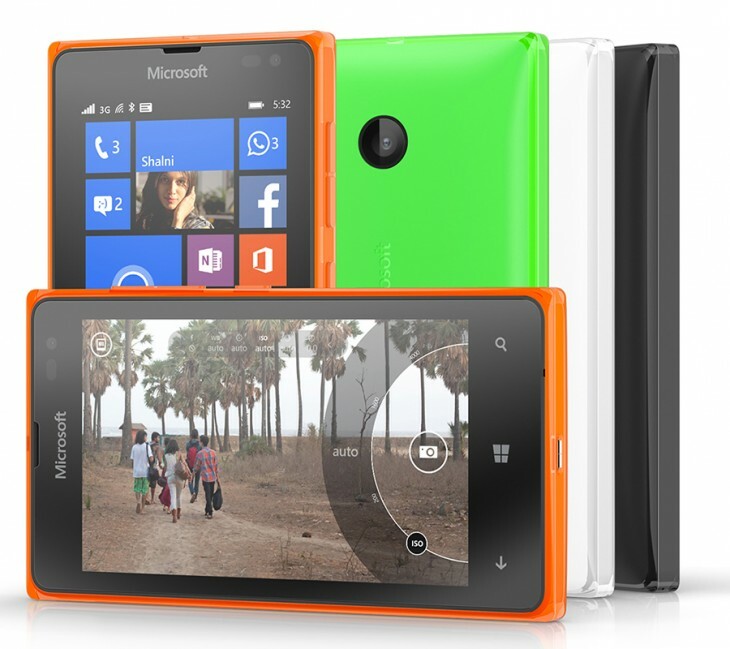 Just like other low-to-mid-range Lumias, these two also offer interchangeable rear shells in green, white or orange. Of course, for such a low starting price, sacrifices have to be made somewhere. The 4-inch display on the 435 and 532, for example, has a resolution of just 800 x 480 pixels. Similarly, the 435 offers only a 2-megapixel snapper on the rear, while the 532 bumps this up to 5-megapixels. On the plus side, both will ship with Windows Phone 8.1 and the Lumia Denim update pre-installed.